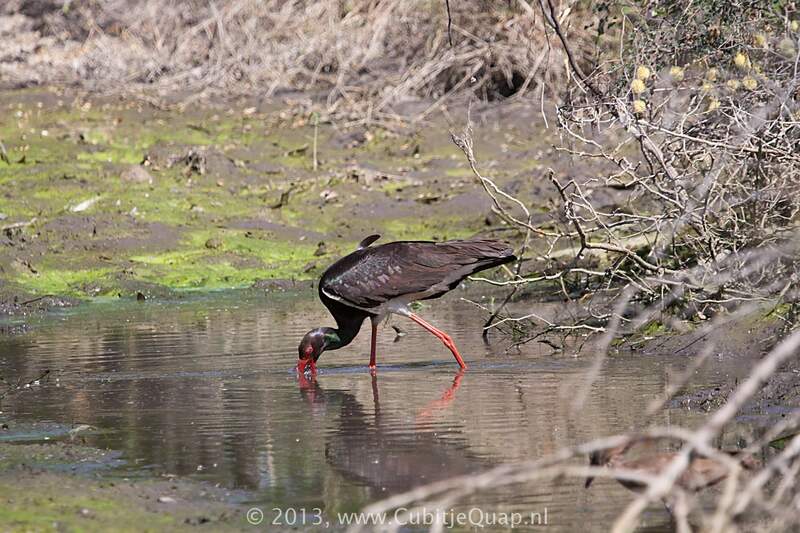 A large, glossy black stork with a white lower breast, belly and undertail. 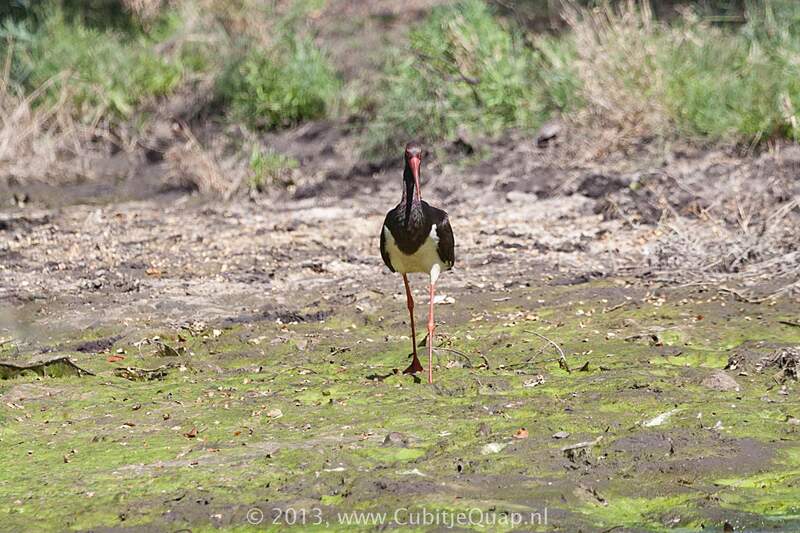 Distinguished from the smaller Abdim's Stork by the black (not white) rump and lower back, and by the red (not greenish) bill and legs. 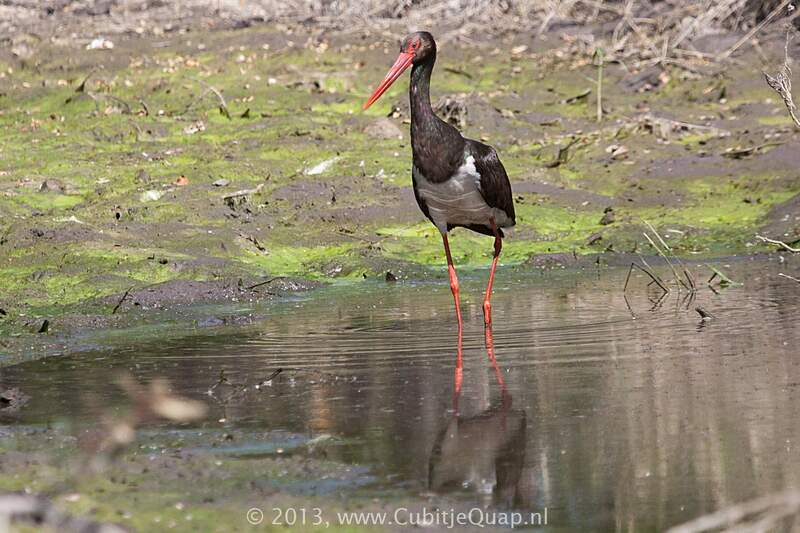 Juvenile is a browner version of adult and has a yellowish green bill and legs (bill of juvenile Abdim's Stork is grey). Feeds in streams and ponds, usually solitary. 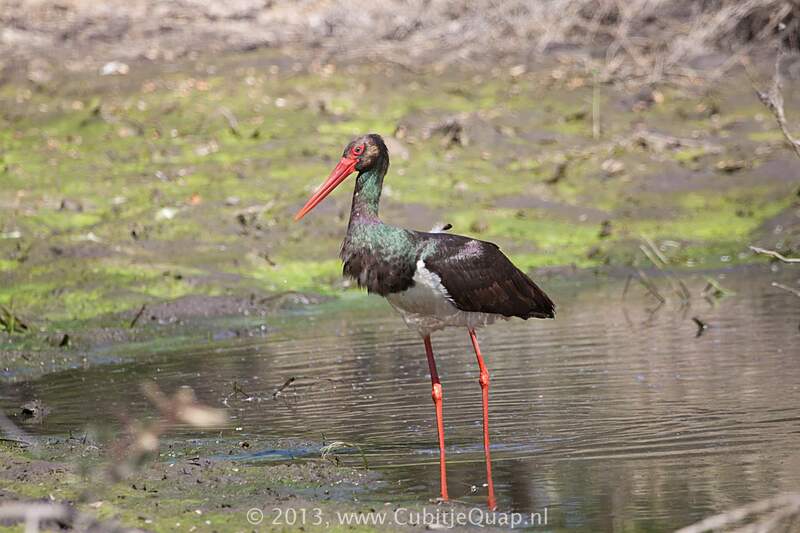 Also occurs along the coast in estuaries and lagoons.